While most people are fully aware that becoming a Vegan will require a large amount of dedication on their part there are many others who believe that there are no opportunities for them to eat out as a vegan. In reality, this might seem true at first glance, but upon a deeper look, it is typically untrue that you will be unable to eat out. Dining out for social occasions and even the occasional quick meal is something that almost everyone alive is guilty of at some point. This leaves you with ample reasons to start looking for solutions before the restaurants are needed. The majority of restaurants are becoming much more aware of the desires of consumers. Just as vegetarianism is much more popular today, so are the reduced carbohydrate diets, low-calorie diets and also the vegan diet. This means that going out to eat does not have to be an overly painful process. Typically, most restaurants will offer several different dining choices that can be easily tailored to your specific dietary needs. If you are absolutely determined that you want to ensure that you are making the right decision it is very important to search for vegan-friendly restaurants in advance. 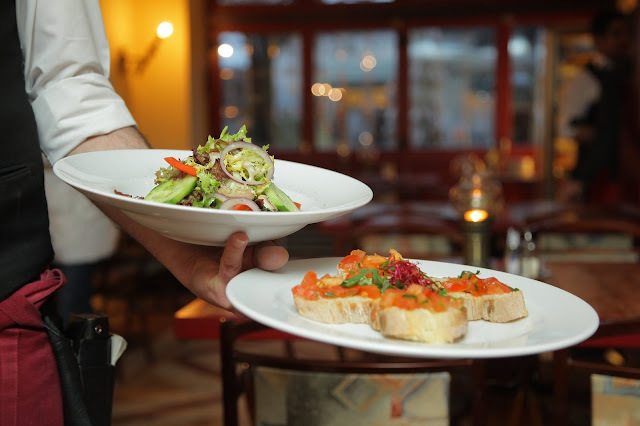 Choosing a few restaurants in advance will enable you to be certain that you are choosing to go to a friendly restaurant. Most though are quite happy to accommodate reasonable requests which would allow virtually any restaurant to become vegan-friendly. An important consideration is fast food restaurants. These are typically much harder to be vegan-friendly due to the extremely limited menu options that are available. Because the majority of the menu has food items that are not permitted for the vegan diet it is often quite difficult to eat at these types of restaurants, however, it is still possible if you are careful what you select. The easiest solution is to simply avoid fast food restaurants though and instead opt for a typical sit-down restaurant so that you can actually enjoy your entire meal. As you can see, there are several different ways that you can handle going out to eat. Regardless of whether you are on a date, or just going out to dinner with your family, you do not have to stay at home all of the time simply because you are a vegan. Going out to eat can be a lot of fun, planning ahead will take much of the stress out of the equation as well which can improve the situation even further. Waiting around for a restaurant to open that is specifically vegan may not happen, which will leave you settling for a restaurant that does offer at least a limited vegan-friendly menu.